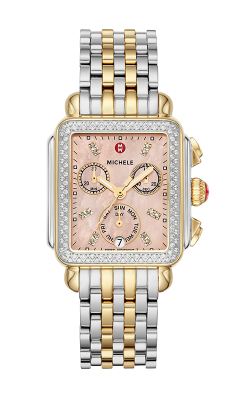 Despite only being around for a relatively short amount of time, Michele has quickly become one of the most popular designers of women's luxury Swiss-quality timepieces in the world today. 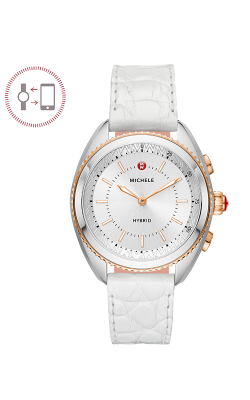 Named for their spirited and precocious daughter Michele, Jack and Rita Barouh founded Michele watches with a dream of creating top-of-the-line timekeeping devices that mirrored the grace, sophistication, and beauty of the 'leading ladies' in everybody's lives. 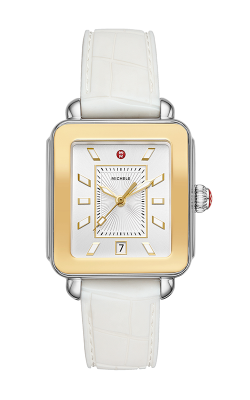 The designers at Michele have kept the Barouh's dream alive, and today offer an array of wonderful watches that blend a sense of timeless elegance with contemporary fashion trends, as well as brilliant handcrafted diamond cases, Swiss movement, and mother-of-pearl dials to create a timepiece that is as distinctive and one-of-a-kind as its wearer. For these reasons, the experience and knowledgeable staff at Rumanoff's Fine Jewelers-located in Hamden, Connecticut-are proud to be an authorized dealer of Michele watches and invite their valued customers into their wonderful showroom today to experience the beautiful watches of Michelle for themselves. 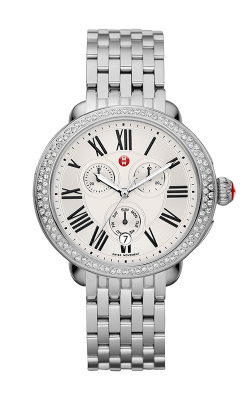 Why Buy Michele Watches from Rumanoff's Fine Jewelers? With over four-generations of involvement in the jewelry industry, the family-operated Rumanoff's Fine Jewelers is the destination in the New Haven County area to find 100% genuine, expertly-built, luxury-grade timepieces from some of the most popular contemporary designers that are active today. In their intimate Hamden showroom Rumanoff's carries Swiss-quality timekeeping devices from brands including not only Michele, but also legendary brands such as Baume & Mercier, Citizen, and an ever-expanding collection of others. Also, Rumanoff's Fine Jewelers offers to their Connecticut customers a massive inventory of wedding bands, engagement rings, GIA-certified loose diamonds, and fine fashion jewelry, all at competitive prices. Additionally, the amiable staff at Rumanoff's extends complimentary cleaning and polishing on all items, a 30-day return or exchange policy, as well as an unbelievable diamond buyback program, and reasonable financing plans perfect for all budgets. 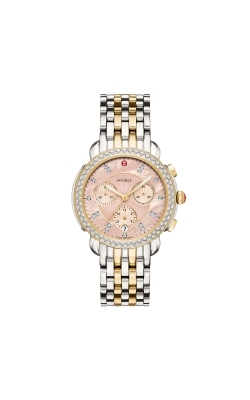 As an authorized dealer of Michele, Rumanoff's Fine Jewelers is excited to bring to their Hamden neighbors women's watches from a variety of exceptionally constructed Michele timepiece collections. For Rumanoff's customers searching for a timepiece that is fun, functional, and incomparably elegant, the watches of Michele's Deco collections are sure to please. Also available at Rumanoff's, the watches of the Michele Serein, and Serein 16 collections, including models such as the extraordinary Michele Diamond Two Tone Gold bracelet, and others.